Siegel Suites Charleston Apartments - Great Amenities and Low Rates! Rent a low-cost, furnished studio apartments on the Las Vegas Strip! 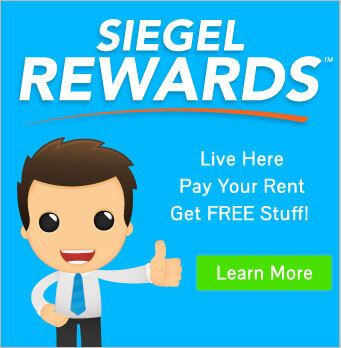 Rent at Siegel Suites Charleston Apartments for a furnished or unfurnished apartment with a great Las Vegas location near downtown. Our low cost apartments just south of the famous Fremont Experience and Las Vegas Strip. These locations have casinos, restaurants, clubs, shopping, and more. There are, also, many restaurants within walking distance. Some of these include Ocha Thai Cuisine, Dona Maria Tamales, Chicago Joe’s Restaurant, and Rick Rollin Smoke BBQ & Tavern. We rent large, fully furnished or unfurnished studio apartments. All apartments are move in ready with full kitchens inside. Also, we have a beautiful sparkling pool for the warm summer months! Rent your apartment today with no long term lease, your choice of low weekly or monthly payment options and bad credit ok. Your low rent includes free utilities, free cable TV, and more. Get more details below. Then call us toll-free at 1-888-328-0192 or locally at 702-904-9594. Also, you can email us to reserve your Las Vegas apartment at Siegel Suites Charleston today.